Coates, Brian J. "The Birds of Papua New Guinea. Vol. 2. Passerines." Alderley: Dove Publications, 1993. Higgins, P.J. and J.M. Peter, eds. Handbook of Australian, New Zealand and Antarctic Birds. Vol. 6. Pardalotes to Figbird. Melbourne: Oxford University Press (in preparation). Schodde, R. and I.J. Mason. The Directory of Australian Birds. Passerines. Collingwood: CSIRO Publishing, 1999. Beck, J. and K. Chan. "Habitat Preference of Grey Fantails Rhipidura fuliginosa Wintering in Central Queensland." Sunbird 29 (1999): 41-51. Currawong, Strepera graculina." Australian Journal of Ecology 21 (1996): 399-409. Reis, K.R and R.S. Kennedy. 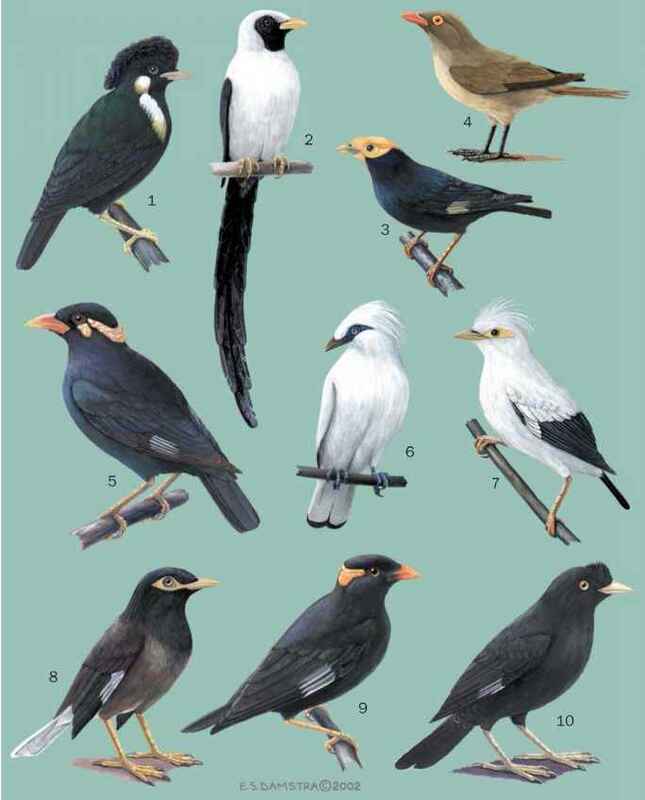 "Review of the Montane Bird Species from Mindanao, Philippines: Part 1—Black-and-Cinnamon Fantail, Rhipidura nigrocinnamomea." Bulletin of the British Ornithologist's Club 119 (1999): 103-109. Webb-Pullman, B.Z., and M.A. Elgar. "The Influence of Time of Day and Environmental Conditions on the Foraging Behaviours of Willie Wagtails, Rhipidura leucophrys." Australian Journal of Zoology 46 (1998): 137-144.